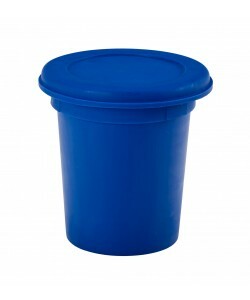 The rotoX range of plastic tapered bins are incredibly tough, durable, food grade, tapered moulded tubs designed for use within a wealth of food storage and food handling applications. 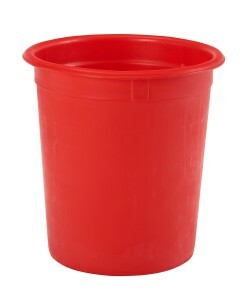 Used across a number of industrial sectors for materials handling, the food grade bins are a favourite amongst the food manufacturing and food processing industries. 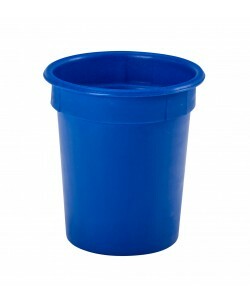 The range of tapered bins includes a wide variety of plastic bins that incorporate a tapered design that enables them to stack and nest to a degree to save on space. 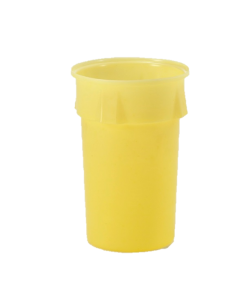 Produced via rotational moulding the tapered moulded tubs are incredibly robust and consist of seamless, watertight and easy to clean constructions. 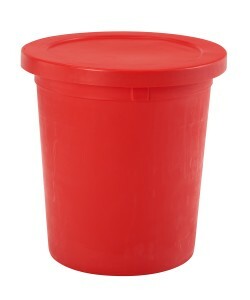 The food grade tubs are widely used throughout the food industry for the storage and handling of dry food stuffs and ingredients such as flours, sugars, grains and many others. 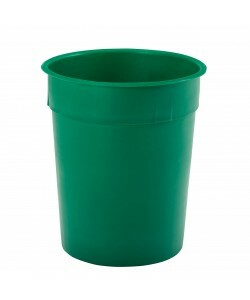 Their heavy duty nature also makes the tapered bins ideal for industrial storage and waste collection. 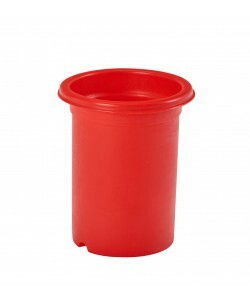 The range of moulded tapered bins is available in a wide variety of colour options to help assist with colour coded practices, product separation and identification purposes. 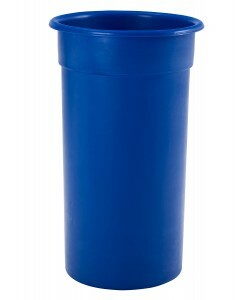 The tapered bins are designed to nest inside one another to a certain degree, if you require straight sided plastic bins, please refer to our inter stacking bins. 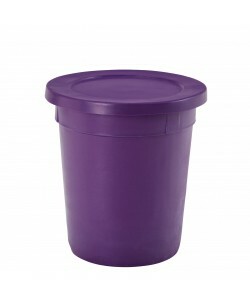 The tapered bins are rounded plastic bins with a tapered design to allow them to nest as well as stack. 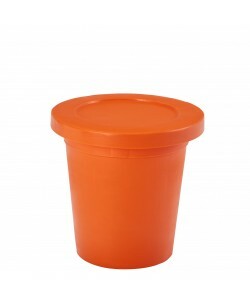 The tapered moulded tubs can be stacked on top of one another when lids are in place but when empty, they nest inside of each other up to approximately 80% of the tapered bins overall height. The ability to nest allows the food grade bins to be easily transported and stored as they can save huge amounts of storage space. 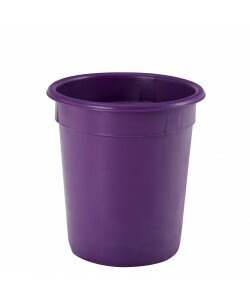 To help with the handling of our plastic tapered bins we can fit the plastic bins with stainless steel handles. The rotoXB4 can be supplied with a stainless steel looped handle, much like that of a plastic pails; and the larger tapered bins can have handles attached with either bolts or rivets. 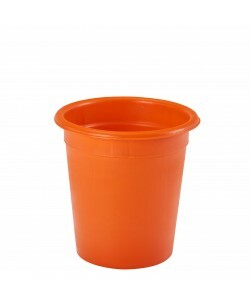 Each size of tapered moulded tub can also be supplied with an optional plastic drop-on lid. 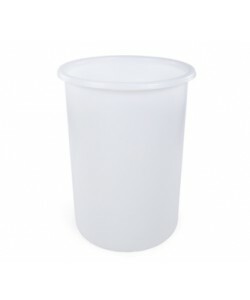 Tapered bins are a popular choice within the fish frying and chip shop trades and the rotoXB15 and rotoXB20 are often used as potato chip bins. 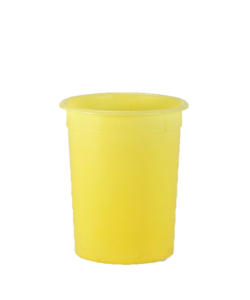 Produced from food grade materials the plastic tapered bins are well suited for use within food handling applications and are often used for food or ingredient storage. 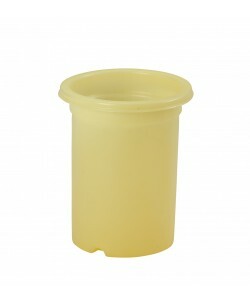 The food grade bins can be modified if required to include drainage holes and bungs or drainage taps. 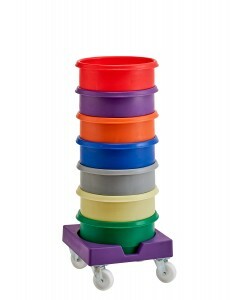 Perfect for securely and safely handling the range of tapered bins we manufacture a range of plastic dollies and steel dollies to suit. 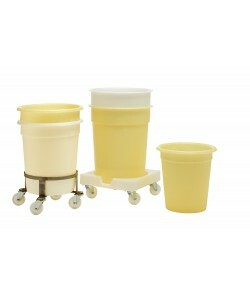 Within the range of plastic dollies, the rotoXDSB and rotoXDTB are designed to handle a selection of the plastic moulded tubs. The rotoXDSB can safely handle stacks of the rotoXB15 tapered bin and the rotoXDTB is able to securely handle the rotoXB20, rotoXB25, rotoXB30, RM75B and RM110B. 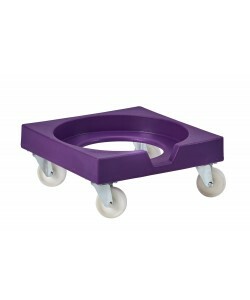 To view the full range of plastic dollies click here. 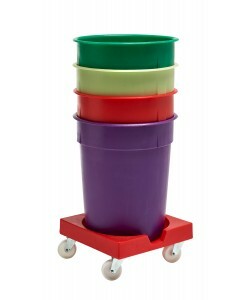 To also assist with the handling of the plastic tapered bins our powder coated circular steel dollies and stainless steel dollies are incredibly robust and highly manoeuvrable. Produced to standard specifications to handle the tapered moulded bins from the rotoXB5 up to the rotoXB35 these steel dollies can also be manufactured to bespoke requirements if needed. 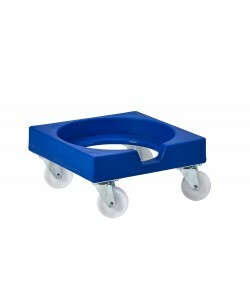 To view our full range of steel dollies click here.